Wall between older and younger vessel members. Wall between older (right) and younger (left) vessel members. 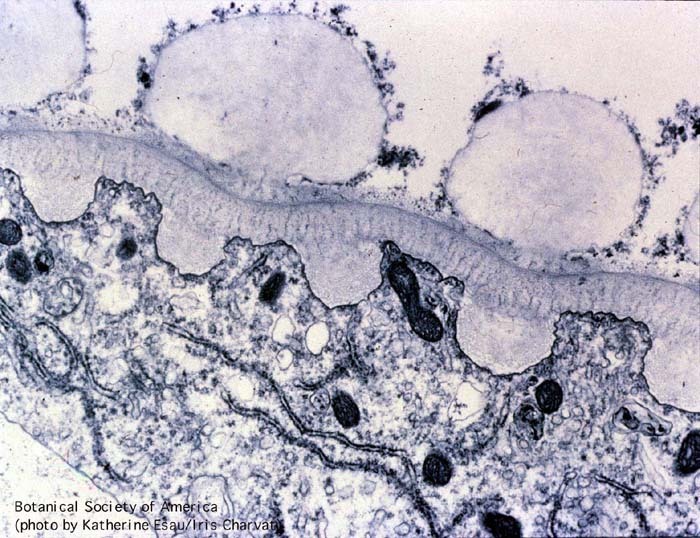 Microtubules accumulate near the secondary wall in younger cell. Membrane-bound vesicles appear as blebs on plasmalemma. Primary wall of older cell are partly hydrolyzed.